❄❄CHARGE YOUR PHONE IN THE BLINK OF AN EYE! 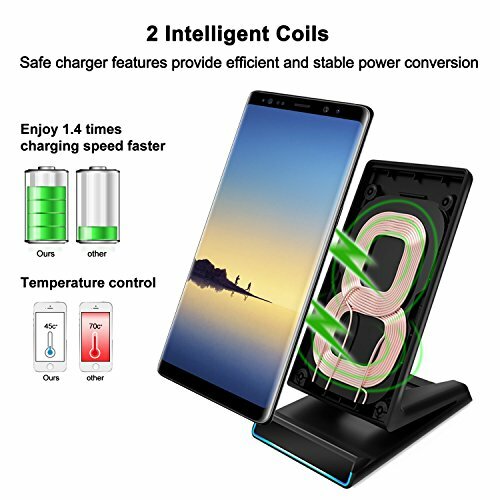 Two premium quality coils are utilized in order to support a wider wireless charging area, resulting in a 1.4 faster-charging speed, without sacrificing stability and efficiency! Now you can charge your phone faster than ever! ❄❄PROTECTION FROM OVERHEATING & OVERCHARGING! What's that plastic-like smell? Well, it ain't your phone, that's for sure! 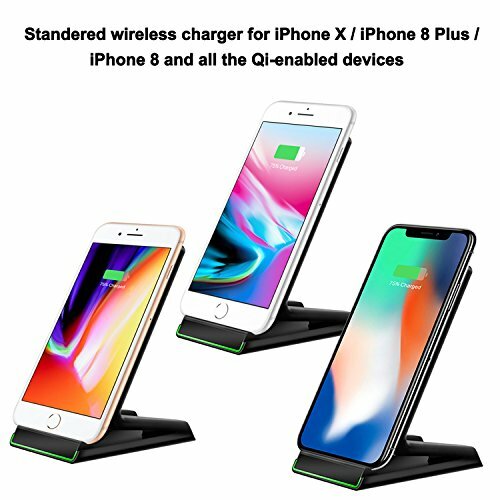 Our QI fast wireless charger stand features built-in over-voltage, under-voltage, temperature control, surge protection and short-circuit protection system that protects your device, and won't allow any... dangerous accidents! ❄❄ONE DEVICE, SO MANY MODELS TO CHOOSE FROM! FAST CHARGE MODES ONLY supports Samsung Galaxy Note 8, S8, S8 Plus, S7, S7 Edge, S6 Edge Plus, Note 5. 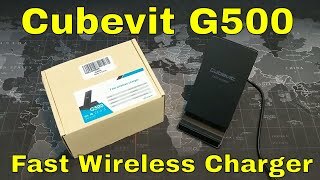 STANDARD CHARGE MODES works with iPhone X,8 Plus,8 and most qi-enabled devices like LG V30, LG G6, S6,S6 Edge, Moto Droid Maxx, Droid Mini, MOTO Droid turbo, etc - and, if you use a receiver (Not Included), then the list grows even more; Note 3 & 4, S4, S5, LG G3 & G4 and more! ❄❄YOU WON'T HEAR A PEEP OUT OF IT! No buzzing sounds, no soft humbling tones, zero, zilch, nada. 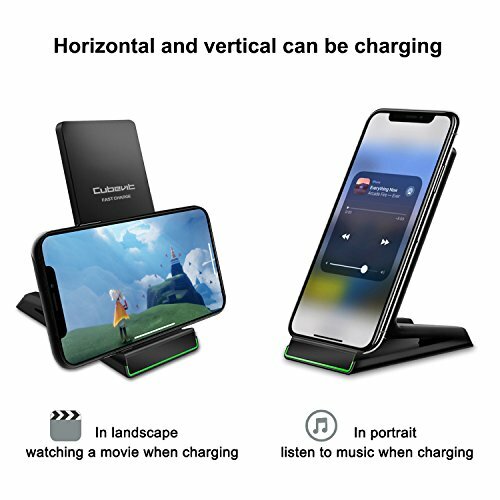 You can sleep, you can work, you can play while your phone is charging on wireless charging pad night stand; all your fully charged device is gonna do is let you know it's full with a bright blue LED light. 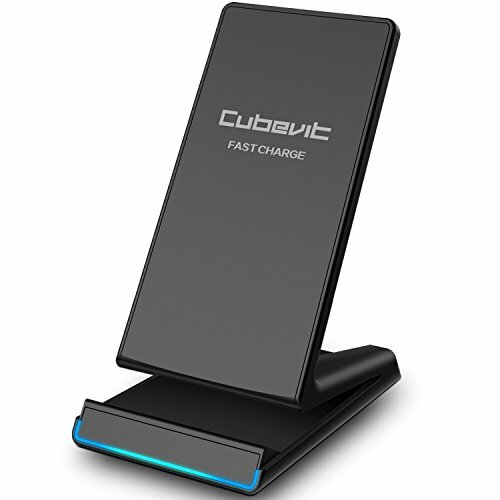 By using QC 2.0 adapter (NOT INCLUDED) or original adapters and cables, enables fast charging on the spot. 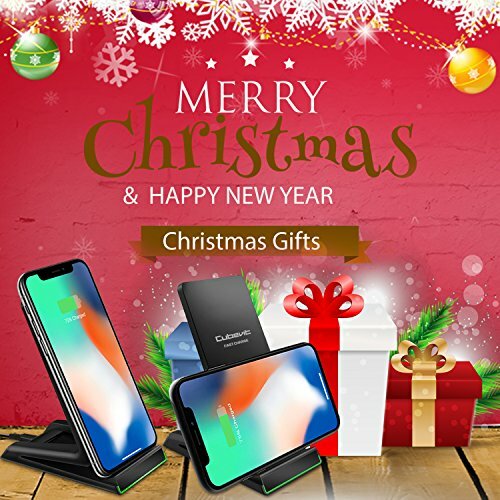 ❄❄ENJOY THE FREEDOM ONLY A WIRELESS CHARGER HAS TO OFFER! 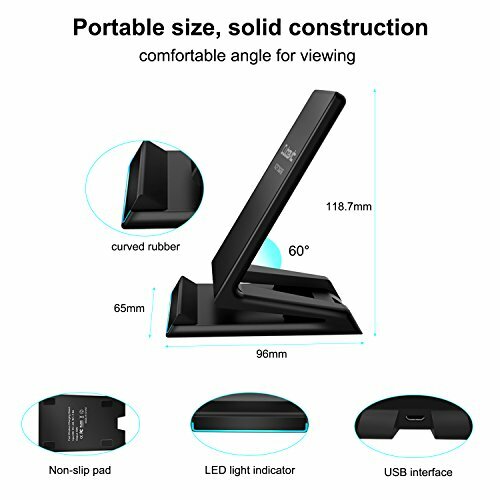 No more messy cables and insertions; simply put your phone on the qi charger stand, either horizontally, or vertically, and the job is done! 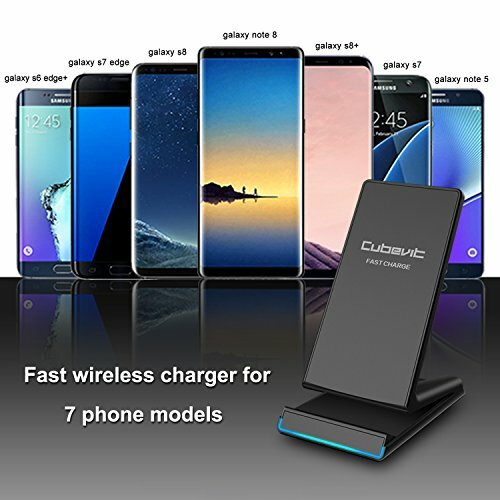 Since your satisfaction is our top priority, this wireless standing charger is backed by our 60 DAYS FULL MONEY BACK, 18 Months FREE REPLACEMENTS GUARANTEE.